I’m feeling so grateful we got to escape this February to Maui for our last adventure as a family of 5. We found some cheap flights and had some extra money so we decided to go for it! I’m always one for spending money on travel. I know some people wouldn’t think it’s worth taking such young children on trips, but I find so much joy escaping from life and traveling the world with my family. 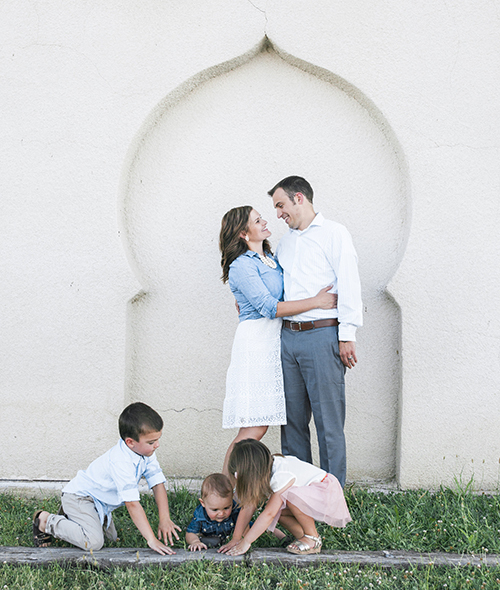 Brandon and I love traveling with our children and of course, there are extra stresses and challenges that come from bringing them along, but overall, we prefer it that way. Traveling with our children helps us experience little things we probably wouldn’t notice otherwise. They find joy in such simple things. I love exploring the world through their eyes and making memories together. I know as our family grows, our type of adventures will need to change and I look forward to exploring more of Utah and the surrounding areas. I don’t think travel has to be big and lavish. To be completely honest, the first few days were a little rough. As we were dealing with the time change and travel toll and some of us relax better than others, it took a few days to get into the groove. But still, we’re so glad we got to go and see a new place together. Left at 4:30 am to catch our early flight. It was 18 degrees when we left, so we were pretty excited to get out of the cold weather. Flew to San Francisco and then to Maui. Picking up our rental car from Advantage took forever. Welcome to Hawaii time. Ha! We stopped by Costco for lunch and to stock up on groceries and snacks. Their Acai bowls were amazing and probably one of my favorite foods from the island. Drove to the Hyatt Regency, where we stayed the first two days. We got fresh leis when we checked in. So fun! Ate sandwiches for dinner and since the pool was open 24 hours, we all went swimming at 9 pm. The kids were in heaven splashing and swimming around. The tiki torches were lit and it was just one of those memories I’ll never forget. As the travel planner, I purposely planned nothing but relaxing for this day. As soon as we had cereal and muffins in our room for breakfast, we hit up the beach! It was actually overcast, but still warm and didn’t stop us from having fun. I think Brandon enjoyed the sand castles more than the kids! We saw a sea turtle on the beach which was really cool! The Hyatt room was just ordinary, but the pools and grounds were amazing! We pool hopped from a few different ones and ended up playing at the kids area for a while! The famous Ulilani’s Shave Ice was right on the property, so I grabbed one for a snack, It did not disappoint! After swimming, we showered up and headed to Front Street for dinner. We ate at Cheeseburger in Paradise (a recommendation from Brandon’s boss) and did a little window shopping. We also stopped a bit at a Hawaiian outdoor concert. We overlapped part of the time with the Polls (so fun!) so we did a kid swap. Brandon and I drove to Kapalua to hike the Coastal Trail. It was pretty, but we were both a bit ornery so it wasn’t as enjoyable as it could have been. 😉 How is that for being honest? We went back to the Hyatt where all 6 of the kids were and swam the rest of the day there. Having cousins around for part of the time was so worth it. They played so well together that us parents quite a bit. Ulilani’s again for shave ice! The Polls and us decided to do dinner together so we picked up pizza from Lahaina Pizza Co and ate beach side at the library in the dark. A fun memory! Then we checked into the Kaanapali Beach Club super late and hit the hay! We watched all 6 kids while Em and Kyle went on their date. The kids swam at the hotel pool all morning after playing free mini golf and bowling at the kids club. We took a late nap, did some grocery shopping at Times and watched a movie in our hotel to end the night. We’ve made it a family goal to attend all 3 hours of church even when we’re on vacation, so we went to the Lahaina Ward with the Polls. The kids did great in primary together and it was awesome being in Sunday School with Brandon for the first time in years. After church we went back to make lunch at our hotel and take a nap.